Hike Half Dome & Cloud's Rest on this Yosemite backpacking adventure. This is by far the best way to summit Half Dome by exploring the Yosemite high country and also bagging the summit of Cloud's Rest. Experience hiking to the summit of Half Dome and Cloud's Restalong some of the most spectacular mountain vistas in the world. 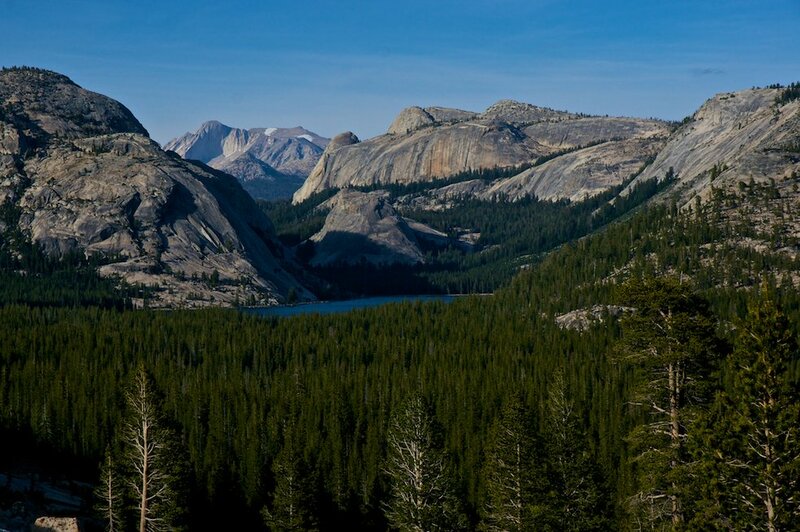 This guided hiking tour takes you from the Yosemite high country near Tuolumne Meadows down into to the incomparable Yosemite Valley. We begin with a night of camping in Yosemite Valley with dinner prepared by your guide around a campfire. The next day we board the park shuttle up to the Yosemite high country and begin our hiking tour out of Tenaya Lake near Tuolumne Meadows. We explore the Sunrise Lakes area before hiking down past the amazing vistas of Clouds Rest and on to our Half Dome basecamp where we make camp near Sunrise Creek. We hike up the historic "cable route" to the summit of Half Dome, Yosemite's most famous summit. After hiking Half Dome, we descend down the famous Mist Trail into Yosemite Valley. Along the way we enjoy tranquil alpine lakes, whispering pine forests, great food and good company! Not to mention the summit of Yosemite's most sought after peaks. 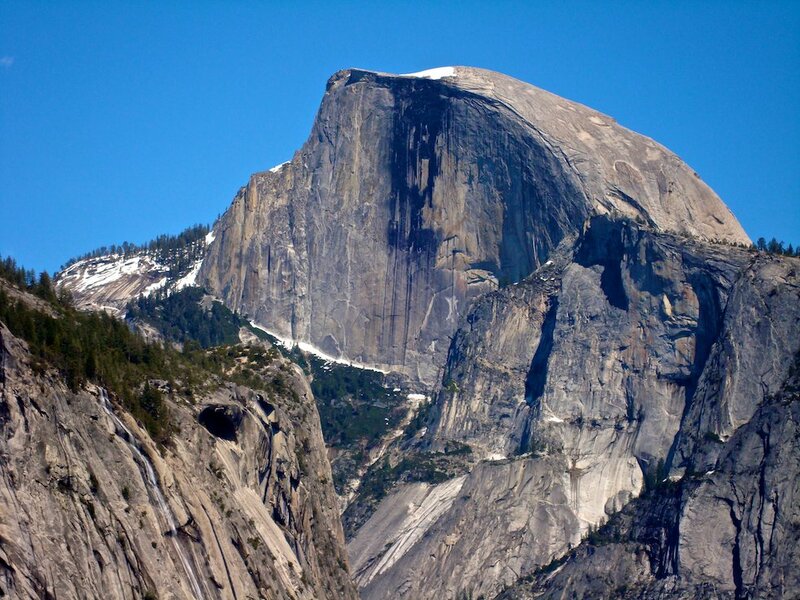 All with a net elevation loss of over 4,000 ft. Come hike Half Dome in style with us! A great way to hike Half Domein style. Very good physical conditioning is required. We meet in Yosemite Valley at 5pm at our campsite. After a gear check and introductions, we enjoy a campfire and dinner. Camping is provided and there is a trailhead parking area where you can leave your car. We board a park shuttle bus that takes us into the Yosemite high country and our trailhead at Tenaya Lake. We then hike to tranquil Sunrise Lakes where we establish camp for the evening. After a possibly spectacular sunrise we hike from Sunrise Lakes and over to the summit of Clouds Rest. We then hike through some of the most spectacular mountain vistas on the planet exploring the views from Clouds Rest, Yosemite's largest expanse of granite. We descend Sunrise Creek where we establish our camp for the night. An early start finds us hiking up the Half Dome trail ahead of the crowds. We ascend the famous "cable route" to Yosemite's most recognizable summit. The views from the top of Half Dome down into Yosemite Valley are incredible. We descend back to camp along Sunrise Creek and then break camp and descend the Mist Trail all the way into Yosemite Valley arriving in the late afternoon.